We certainly want to give our kids healthier snack options to tide them over between an early lunch at school and dinner, but it’s not always practical to make healthy fresh munchables every day. It’s much easier to reach for pre-packaged snacks when you’re running low on time. So having some pre-prepped healthy snacks on hand is a great way to get your kids to fall in love with smart snacking. Here are 10 ready-to-go healthy snack recipes so you can spend less time managing their food choices. Some of these ideas are really easy for your kids to help you make for some quality family time. These coconut chia mango popsicles are healthy, vegan, naturally sweetened, and perfect for kids and adults alike. Whisk together the coconut milk, chia seeds, maple, and vanilla extract in a mixing bowl. Place in the refrigerator for 30 minutes or longer. Add the mango to a food processor and pulse several times to make a puree. 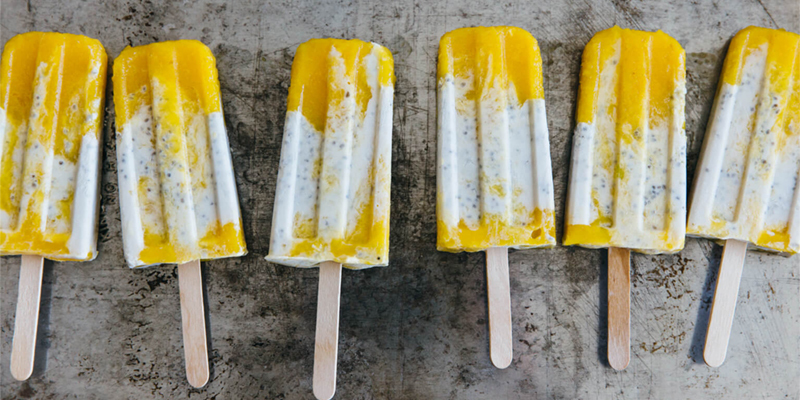 Fill the molds of a 10-serving popsicle maker by alternating the mango puree and coconut-chia mixture. Add popsicle sticks and freeze for at least 2 hours. 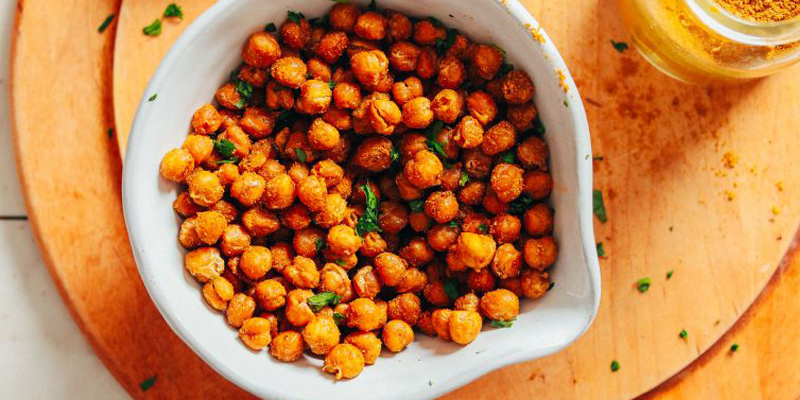 Four-ingredient baked seasoned chickpeas that are ACTUALLY crispy! Simple methods, BIG flavor, so crunchy and delicious! Preheat oven to 350 degrees and set out a bare baking sheet (or more, as needed). Drain chickpeas well. Once drained, spread the chickpeas out on a clean, absorbent towel and use your hands to gently roll and dry the chickpeas. You can opt to peel all of the chickpeas or simply remove the skins that come off. Peeling does yield slightly crispier chickpeas. Transfer the chickpeas to a mixing bowl and top with oil (or omit) and salt. Mix well to combine. Wait to add other seasonings until after baking. Bake for a total of 45-50 minutes or until golden brown and dry/crispy to the touch. Turn pan around and shake the chickpeas around at the halfway point for even cooking. Remove from oven and toss with seasonings while still warm. Let cool 5-10 minutes. 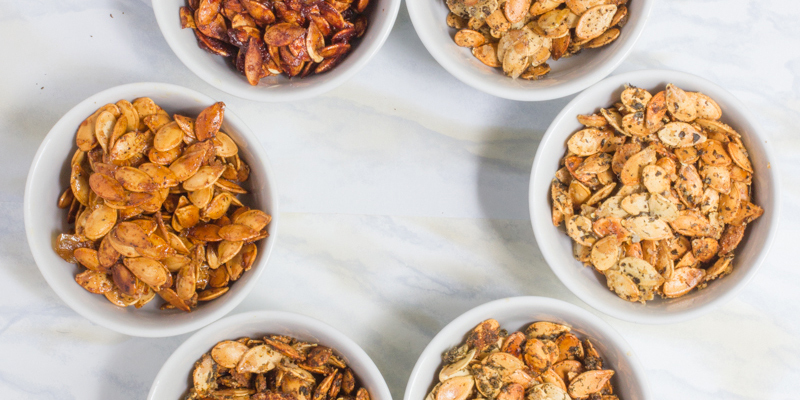 Roasted pumpkin seeds are tasty, crazy healthy, and really easy to make at home. They’re fun to customize and fun to snack on. Preheat oven to 300 degrees and line a baking sheet with parchment paper. Roasting pumpkin seeds at a low temp gets them nice and crunchy without burning them. Start with raw pumpkin seeds. For every half cup of seeds, toss with about a teaspoon of olive oil (or substitute your favorite oil), and then toss immediately afterward with your spice combo of choice. Spread seeds out on the prepared baking sheet. Make sure they stay in a thin layer. Bake for 20-30 minutes, stirring 2-3 times in the oven. Seeds are ready when they are just beginning to brown at a light golden color. They’ll crisp up more as they cool. 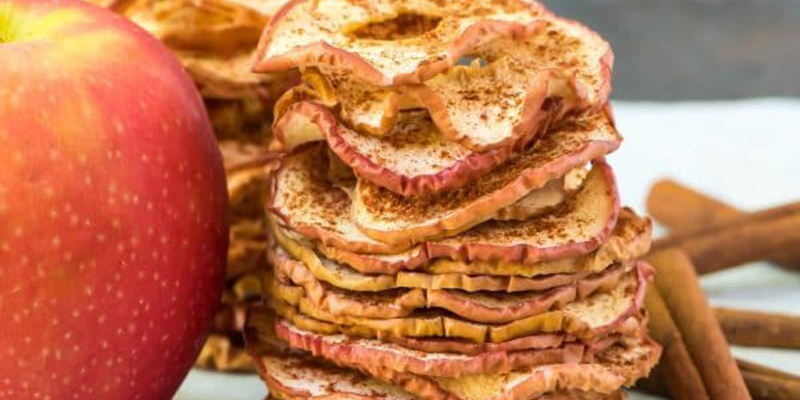 Crispy Baked Apple Chips in a simple oven recipe using just cinnamon and apples, no sugar or dehydrator! Easy, healthy, and so much better than store bought. Place racks in the upper and lower thirds of your oven. Preheat oven to 200 degrees. Line 2 baking sheets with parchment paper. Wash apples. Core the apples with an apple corer or very small cookie cutter. Slice the apples horizontally with a mandolin (recommended) or very sharp knife into 1/8 inch rounds. Arrange the apples in a single layer on the prepared baking sheets. Sprinkle with cinnamon. Bake for 1 hour in the upper and lower thirds of the oven. Remove baking sheets and switch pans’ position on the upper and lower racks. Continue baking for an additional 1-11/2 hours until a single apple chip is crisp when set out at room temperature for 2-3 minutes. Turn the oven off and leave pans in the oven as it cools to further crisp the apple chips. These healthy avocado snacks are a great addition to a healthy diet. They provide heart healthy fats, fiber, antioxidants, and essential nutrients. 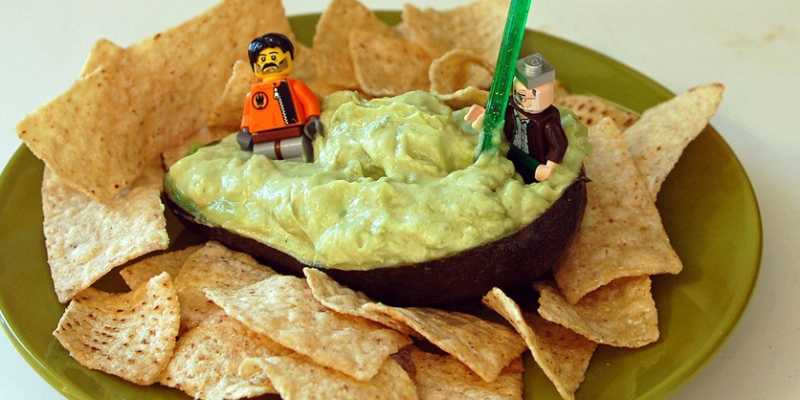 And this fun boat-themed avocado recipe your kids will have tons of fun eating it. Slice avocado length-wise. Remove pit and discard. Scoop out flesh from avocado shell. Add the avocado flesh with all other ingredients to a food processor and whip ingredients until smooth and creamy. Return mixture to avocado shell and serve with chips. Kids will love to help you make this healthy snack since it’s fun to spread the nut butter and sprinkle the chocolate chips. You can also substitute your favorite nut butter for the peanut butter in this recipe. If not eating immediately, brush the apple slices with lemon juice to keep them from browning. 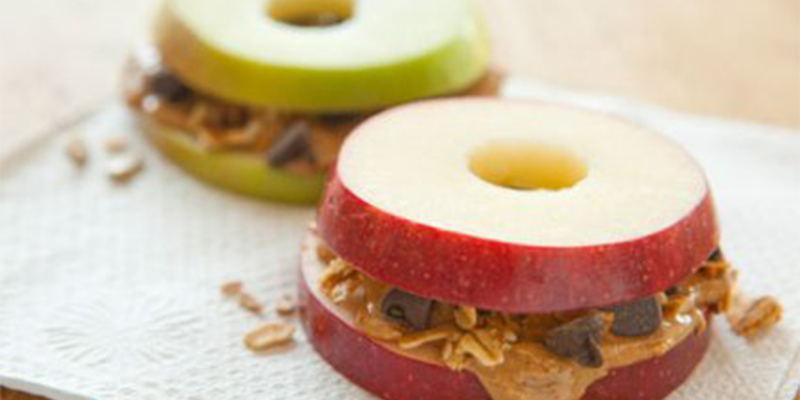 Spread one side of half of the apple slices with peanut or almond butter, and then sprinkle with chocolate chips and granola. Top with remaining apple slices, pressing down gently to make the sandwiches. It’s so much easier to eat raw fruits and veggies if there’s some kind of delicious dip to go with it. 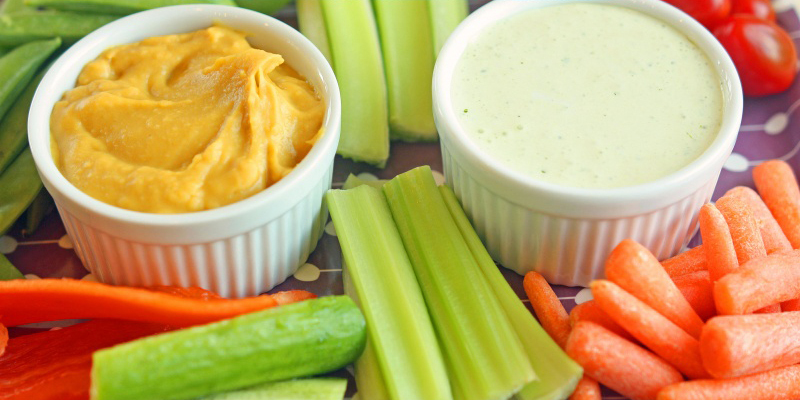 These tasty, healthy dips are a great way to get kids to finish off their fresh veggie snacks. For this dip, simply combine cottage cheese with pesto in a high-powered blender until creamy and smooth. If you use low-fat cottage cheese, it’s an extra light and healthy dip great for kids and adults. Combine White Cannellini Beans with Yellow Mustard, Honey, and Garlic Powder in a high-powered blender. Blend until really smooth and creamy. Raw spinach or kale leaves make a surprising pesto for this good-for-you pizza. Because this recipe uses pre-made English muffins instead of pizza crust, these vegetarian mini pizzas are quick and easy to make. Preheat oven to 425 degrees. Place kale, walnuts, yeast, lemon juice, 2 tbsp water, garlic and pepper in the bowl of a food processor and pulse until you have a coarse paste. Arrange muffin halves on a large baking sheet. 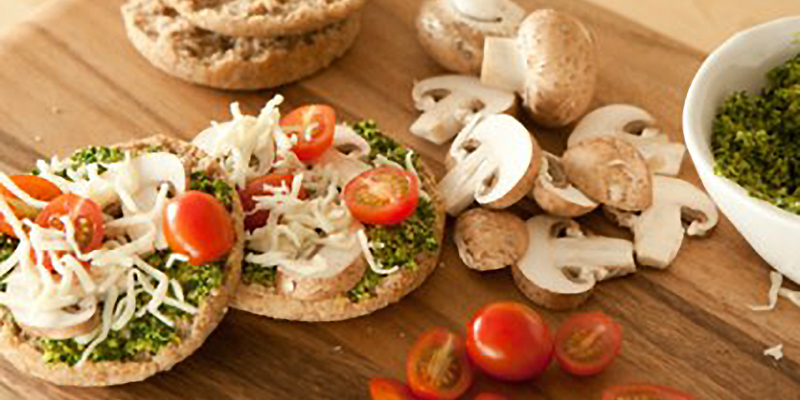 Spread kale pesto on muffins and top with mushrooms, tomatoes, and cheese. Bake until muffins are crisp and cheese is melted, 20-25 minutes. These baked sweet potato fries are caramelized and crispy on the outside and tender on the inside. This oven recipe avoids the extra fats and mess of using a fryer. Sea salt for sprinkling over baked fries. Preheat oven to 450 degrees. Line two baking sheets with aluminum foil and then slide into the oven to heat. Scrub the sweet potatoes and cut into 1/2 inch strips. Place the potato strips into a bowl and toss with olive oil, salt, and pepper. 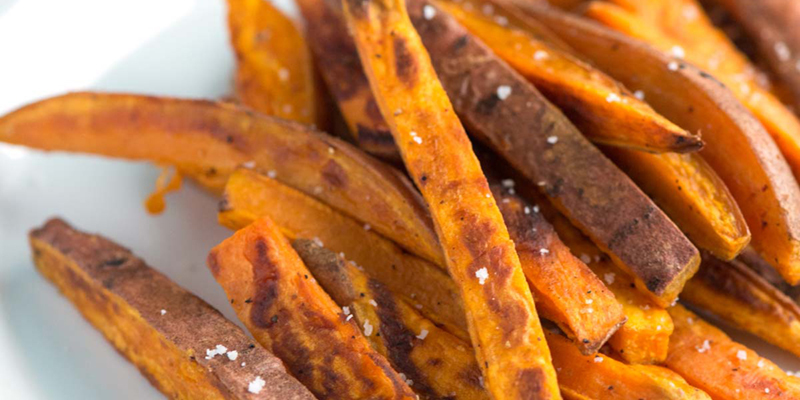 Tumble sweet potatoes onto the hot baking sheets and spread into one layer, giving them space to brown. Bake the fries, turning once and rotating pans once, until edges are lightly browned and centers are tender; 15-25 minutes. The fries are done when the surface looks dry and the fries have puffed up a little. Serve fries with a sprinkle of sea salt on top. 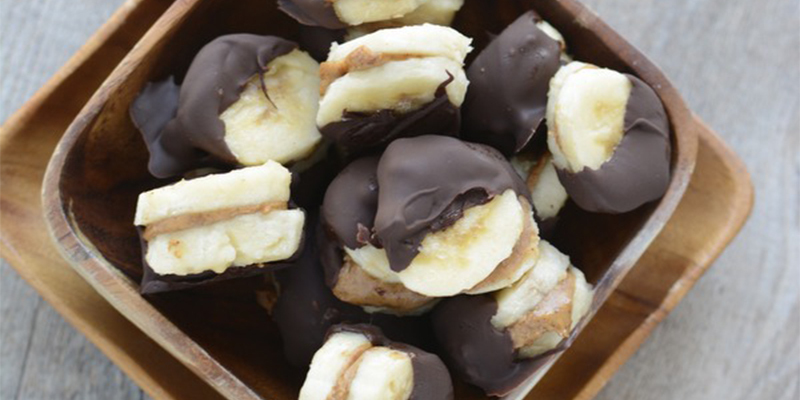 These frozen chocolate almond butter banana bites are super easy to make and so tasty. Plus, this recipe is Gluten, Dairy, and Soy free. Slice up a few bananas and spread a little almond butter on half of the small banana slices. Sandwich the buttered slices with un-buttered banana slices of similar size. Flash freeze the banana bits for 15-20 minutes. While the banana bites are in the freezer, melt the chocolate chips in a glass bowl (microwave) or small saucepan on the stove top (may stick). Stir the chocolate until smooth. Remove the bananas from the freezer, and dip each banana bite into the melted chocolate using a small pair of tongs. Place the dipped bites onto parchment paper to set. Freeze the bites for 30 minutes or until solidified.